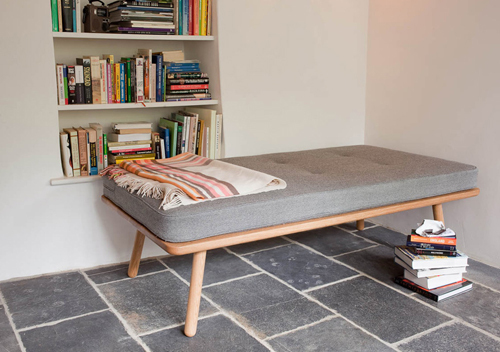 Another Country makes contemporary craft furniture. Their designs are archetypal, calling on the familiar and unpretentious forms of British Country kitchen style, Shaker, traditional Scandinavian and Japanese woodwork. 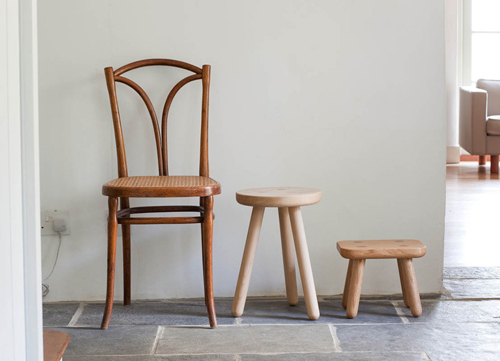 All their beautiful pieces are made from solid wood and produced by hand in a small workshop in Dorset, England. One of my favorite pieces is this day bed made from solid European oak. 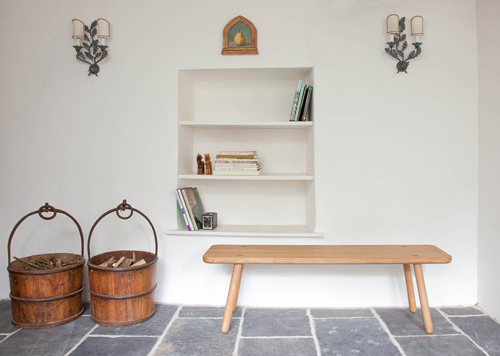 Another Country has taken familiar forms of craft furniture and pared them back to their most basic elements and made them using the most efficient workshop techniques and the best quality wood. Each furniture piece is made in a way that limits wasted material and time , that is easy to transport (flat-pack for large pieces) and versatile (meaning your furniture gets more than one job done). And the good news is: they ship world wide! Visit their website for more information. Wonderful post. Love to support people like this. I love it!! It’s so simple and beautiful at the same time!! I love these hand made pieces. My mother has a collection of old European milking stools stacked large to small. Someday I’m going to sneak them into my car and be off with them in the night!